Beautiful, prolific, and full of surprises in form and color, Sweet Sunset is the de-hybridized version of a popular commercial hybrid of the same name. 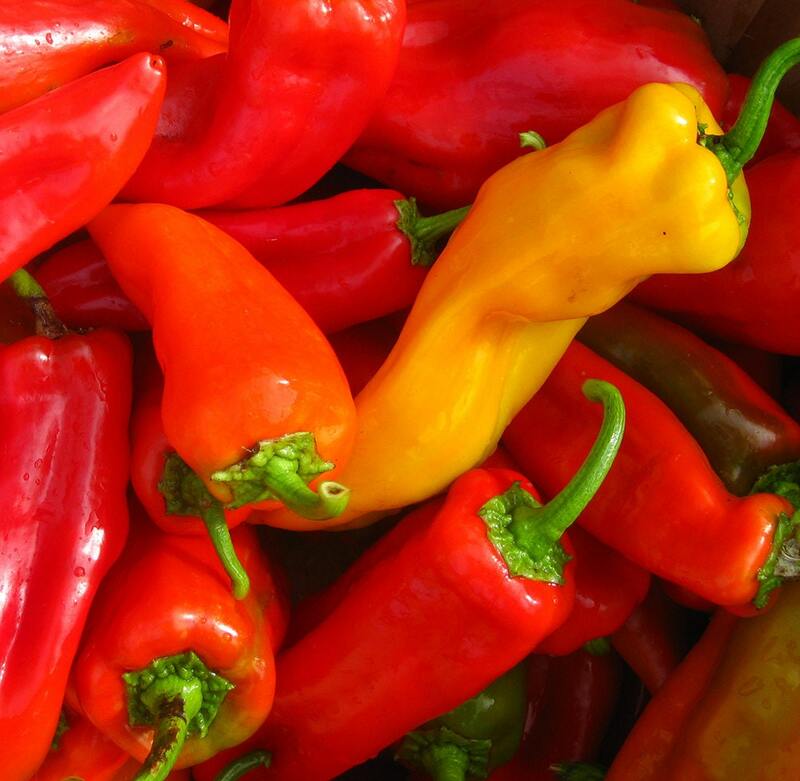 Brought to us by Oregon grower Frank Morton, Sweet Sunset comes in a range of yellows to reds, and shapes from long and thin to fat and blocky. Our selection is heavy on the reds, which tend to be bigger and thicker-walled. Their only uniform trait is great sweet taste – especially fabulous roasted. This variety is pledged to remain Open Source under the terms of the Open Source Seed Initiative.